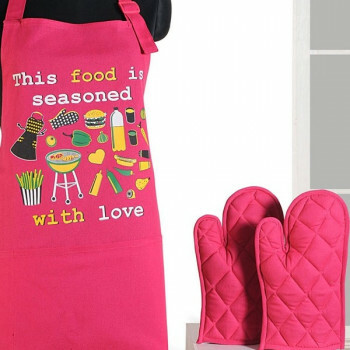 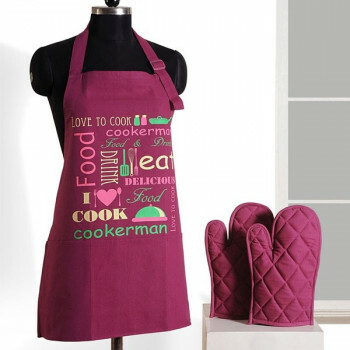 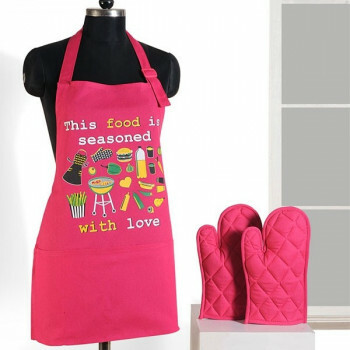 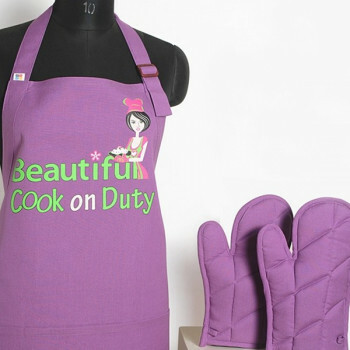 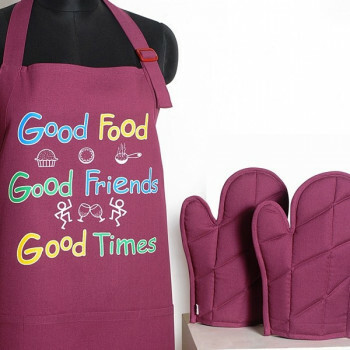 The brightness of beauty pink will shape the glory that will shine like sun with this kitchen apron. 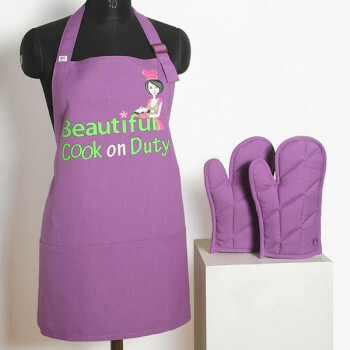 The complete set is made up of pure cotton which is skin friendly. 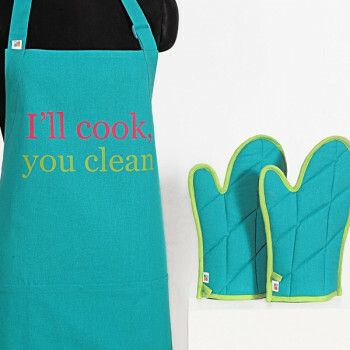 The fabric of pure cotton makes it easy to wash and soap. 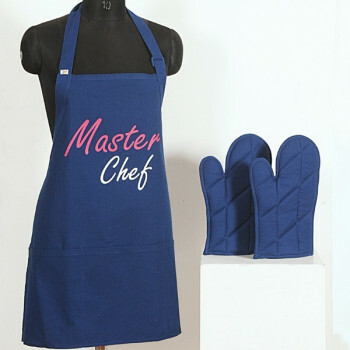 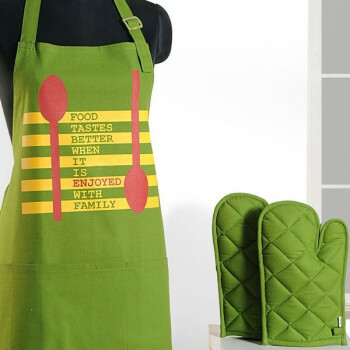 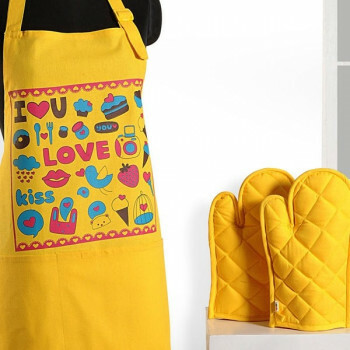 Buy Born to shop graffiti apron, this vibrant design and trendy style kitchen apron would raise the standard of your dining experience and make you elite. 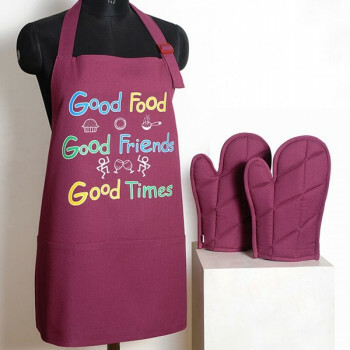 The set also has a pot holder which comes as a rescue to hold hot equipments in the kitchen. 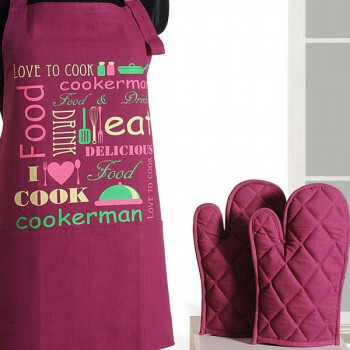 The pot holder is quilted and is completely safe to use. 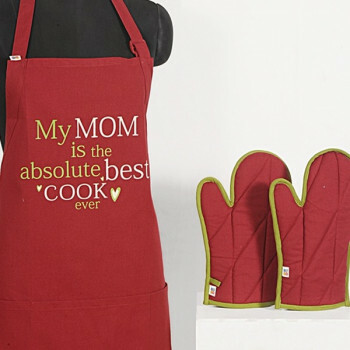 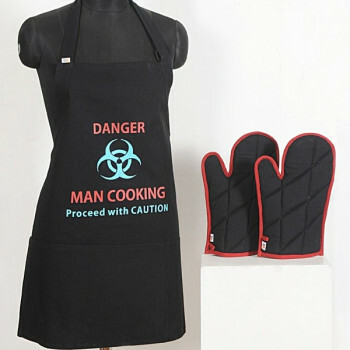 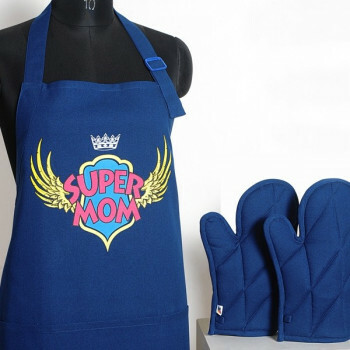 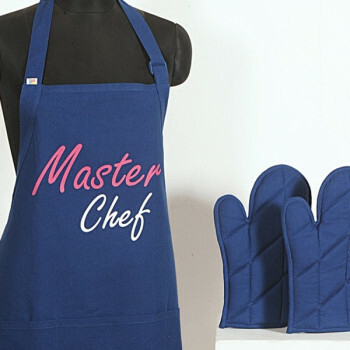 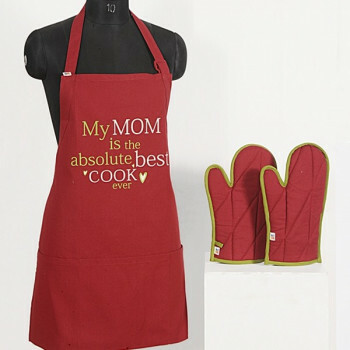 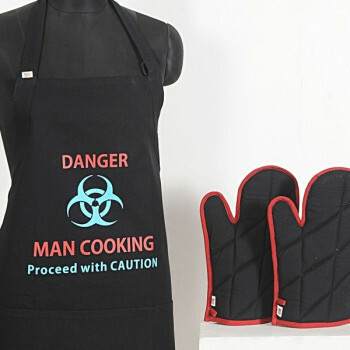 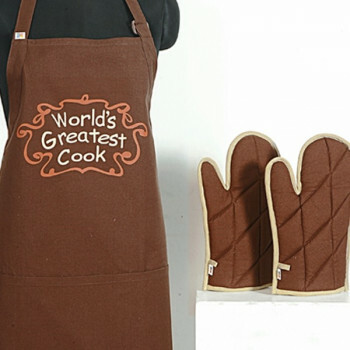 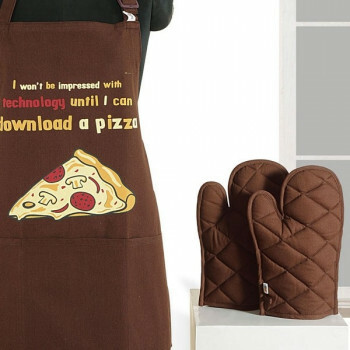 The oven mittens are also quilted and can easily fit to any adult hand be it male or female. 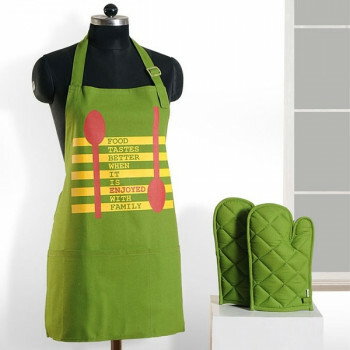 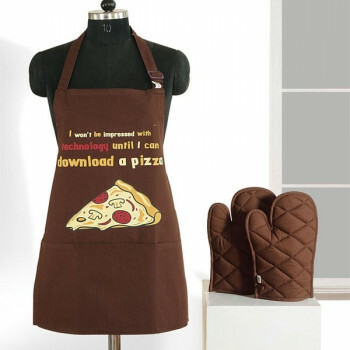 The classic combination of apron & matching other essentials makes this kitchen set a class apart. 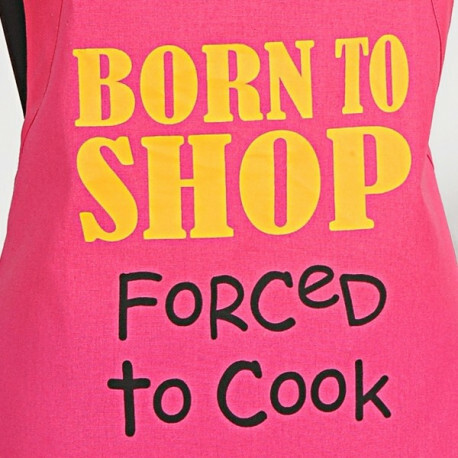 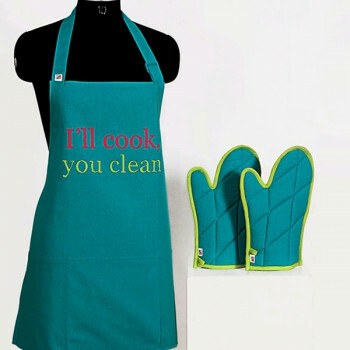 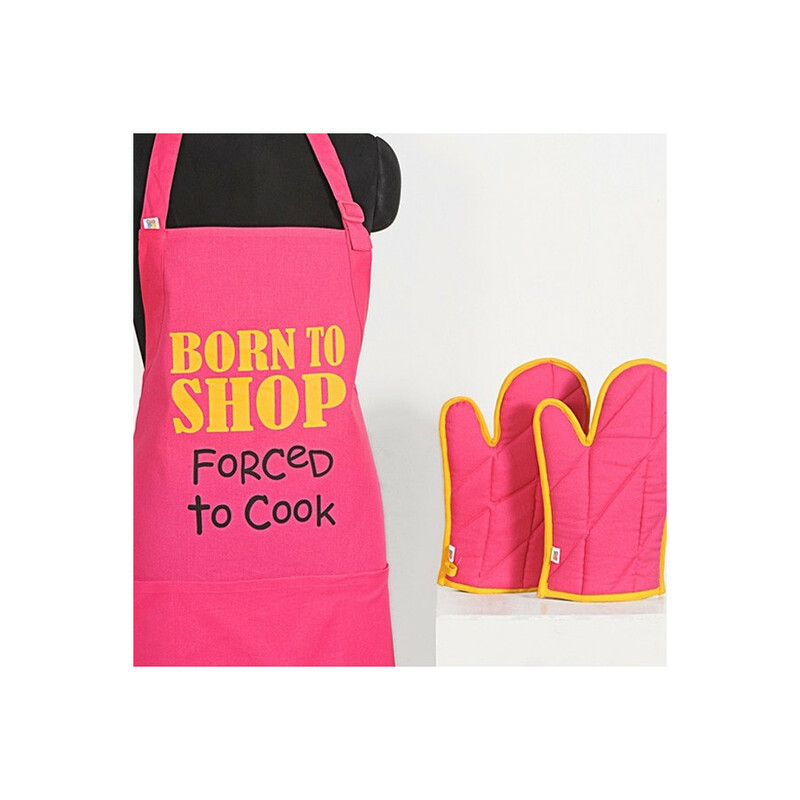 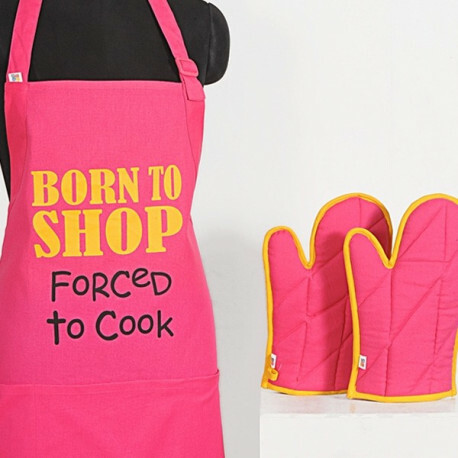 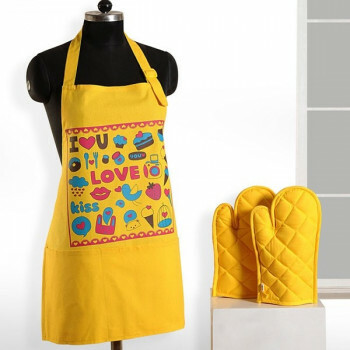 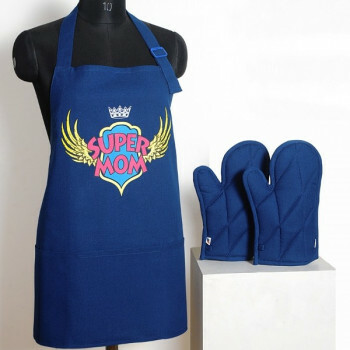 Buy Born to shop graffiti apron from our selling portal swauamindia.com which is highly secured and is open for all the shoppers 24x7.